As online shopping takes off in India, malls are readying to pull a number of tricks to keep those customers coming. This Diwali, customers saw the extent to which e-commerce players like Flipkart, Snapdeal and Amazon could go with discounts, sales and offers, in order to delight e-shoppers. In such a scenario, what can the good ol' offline retailer do to retain footfalls? The most popular way, it turns out, is to make good on the term 'customer engagement' and give shoppers a wholesome experience that transcends shopping. But first, a look at the events that led to this situation. The mall story in India began in the 1990s with Spencer Plaza in Chennai, Ansal Plaza in Delhi and Crossroads in Mumbai. Different brands under one roof, the 'rich' experience of organised parking, shopping in a temperature-controlled enviroment, attentive salespersons... the Indian middle class was sold. Over the years, the malls evolved. Small 'food courts' gave way to a barrage of QSRs (Quick Service Restaurants) and fine-dining options, and the one-to-three storey mall slowly grew as tall as five-to-six storeys high, equipped with multiple cinema screens. As per a 2013 report titled 'Malls in India' released by Images Research (the research arm of Images Group, a business media company for the retail industry), there were around 50 operational malls in 2005, a number that rose to 500 in 2013, and is expected to exceed 700 by 2016. Today, the total 'mall space' occupied in India is around 200 million sq ft. The average size of a mall is around 3,80,000 sq ft, and is likely to touch 4,70,000 sq ft in 2015, according to a 2013 study conducted by an international property advisory firm, Jones Lang LaSalle (JLL). The size will touch 6,60,000 sq ft in 2017, predicts the firm. According to industry experts, about 8-9 billion USD will be invested in malls over the next two to four years, during which around 250 malls will be launched in India. As malls were busy riding the wave, around 2007-09, e-commerce made an entry - a dramatic and promising one. The online shopping segment in India has since enjoyed a steep gradient. According to a research report by Internet and Mobile Association of India, over the past few years, the e-commerce sector has had a CAGR of almost 35 per cent, from 3.8 billion USD in 2009 to 12.6 billion USD in 2013. According to several reports, in 2014 alone, over 3 billion USD has been invested into e-commerce barring OTAs (Online Travel Agents). Arjun Sharma, director, Select Citywalk, a popular mall in Saket, Delhi, foresees, "E-commerce will continue to grow faster than malls. Malls have to be extra careful from now on and create new touch points for people, in the days to come." Given the high growth rate of e-commerce, retailers are certaianly feeling the heat. More so in the case of certain product segments. The books segment was the first one first to get affected. Then followed segments like music, mobile phones and white goods. While in the case of apparels, experts point that currently only low cost apparels are being purchased online. According to Susil Dungarwal, chief mall mechanic, Beyond Squarefeet, a mall management agency, the next wave of segments to get hit comprises consumer durables, home furnishings and fashion jewellery. While previously, people purchased only low value and physically small to mid-sized items online, today they shop for all sorts of items, be it furniture or television sets. According to Mukesh Kumar, vice president, Infiniti Mall Mumbai, "E-commerce has adversely affected categories for which people can see the model or product online thoroughly before purchasing." Categories that e-commerce can't do much damange to include food -- (unless you're thinking of ordering some Coke Zero and a Whopper from Burger King!) -- and perhaps, as Anuj Puri, chairman and country head, Jones Lang LaSalle India, points out, luxury. "Over the years, luxury fashion has emerged as a strong segment in the malls. It was not present earlier," he says. When not about grabbing that too-good-to-be-true discount, online shopping, today, is about clicking on 'Buy' before the product on sale goes out of stock. With online flash deals, e-commerce players have mastered the art of artificially inducing product scarcity. A case in point being what denim brand Gas did just days ago -- it offered free jeans to e-shoppers for a 30-second window! "Brands created this situation as they offer their products on discount and allow e-commerce players to sell them online at these slashed rates. It is brands' 'hunger' that leads them to devalue their own products," fumes Vishal Rangwani, manager, leasing and marketing, DB Malls Bhopal. Where then, does this leave the humble malls? Not in a lurch, we gather, nevertheless. Malls have been trying to fight back in their own way. Firstly, if online is all about tactical, price-related benefits, offline shopping is about leisure, indulgence and family time. As Deepti Goel, head, Ambience Malls, Delhi NCR, puts it, "A value seeking customer purchases products online, while an experience seeking customer purchases from malls." Malls have metamorphosed into what some experts dub "community houses" for Indians, for many of whom shopping is but a byproduct. Malls are no longer just shopping hubs; they are places where families and groups of friends can spend a day bonding at the movies, at eateries and, if need be, inside shops. And anyway, online shopping is a solitary activity; offline shopping is becoming more an excuse to spend time with loved ones. "A mall is the perfect place for an outing, including eating, meeting-and-greeting people, and shopping," says Porodipta Sen, executive director, AlphaG Corp and director, Alpha Management Services, the company that manages AlphaOne Malls in Ahmedabad and Amritsar. Unlike e-commerce, where one logs onto a site with the intent to buy, offline, it's about the overall mall experience, not just shopping. And shopping, in turn, has evolved from an activity to an indulgence. Mall owners point out that people visit malls in their free time, and that currently, the average 'dwelling time' for a consumer in a mall is no less than two to two-and-a-half hours. Adds Ramesh Pandey, deputy general manager, marketing and events, Ambuja Neotia Group, which manages City Centre Salt Lake and four other malls in West Bengal, "We have always positioned our malls as hang out destinations and not as mere shopping destinations." Moreover, riding this reality, malls are trying to connect with their consumers on the emotional level via experiential marketing and activation-based campaigns. After all, e-commerce cannot delight shoppers with spa and gym-like experiences, and prudent mall owners are trying to make good on the notion of retail therapy, by giving shoppers a platform to not just shop but also indulge in their hobbies. Cookery, painting and sports-based events are just a few examples of it. Recent examples of mall activations include the Clown Festival by Select Citywalk, Delhi; the Biryani Festival by City Centre Salt Lake, Kolkata; a painting competition by AlphaOne Amritsar; Ethnic Fashion Pageant by AlphaOne Ahmedabad; Onam celebrations at Lulu International Shopping Mall, Kochi; a football carnival at Orion Mall, Bengaluru, and intermittent celebrity visits at High Street Phoenix Mall, Mumbai. 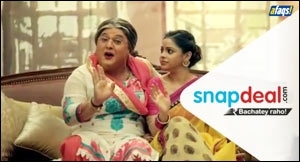 Brands that have managed to piggyback on the trend with mall-based creations/activations of their own include Ferrero Rocher, Gionee, Google, Colorbar, Kinderjoy, Maruti, Lakme and Maybelline, to name a few. The efforts range from flash mobs, installations and entertainment sections that offer games for children, to flash mobs, festival-based events, music shows, live bands, fashion shows walks and on-ground contests. The décor of the mall is also in sync with the ongoing activity with digital amplifying efforts. "Mall developers are trying to be proactive, rather than reactive, by creating more platforms of engagement," says Dungarwal of Beyond Squarefeet. Many malls are collaborating with specialised agencies and professional mall managers for it. Even media space is being purchased on a large scale to promote the USP of - and ongoing offers, events and activities at - malls. Shashank Tripathi, manager, business development, Z Square Mall, Kanpur, says, "For us, hoardings are an inexpensive yet effective way of promotions. Through the year, we have around 20-25 hoardings that are up in the city." Dhruv Kalra, marketing director, Vibgyor Brand Services, an activation agency, says, "Connecting activations with sales and discounts is the most traditional way of connecting with customers." As per an expert in the field, the average mall space allocated for customer engagement is roughly around 13-14 per cent of the total area of the mall. Also, today, most malls are working with professional advertising agencies to get their positioning right. Creative agencies, in turn, treat malls like regular brands and strive to create loyalists. When it comes to mall loyalty, factors that come into play include facilities like parking, adequate signage, behaviour of the mall workers, ease of navigation and layout. "Activations are not the reason customers will come back to the mall. The mall needs to be easy to reach. Convenience is important. Activities serve to entertain customers and make them smile," says Shibu Philips, business head, Lulu Mall, Kochi. High-Street to feel the heat? Voylla.com, an online fashion imitation jewellery marketer, recently released an ad campaign that shows a young girl admiring a necklace in a shop window and instantly logging online to buy a similar piece. The crestfallen face of the storekeeper, who'd been watching her the whole time, tells a pertinent story. As online shopping grows, perhaps it is the high street segment that will be hit a lot more than malls. As Chakor Jain, business head for Lee in India, said in a recent interview, "We have tried to standardise our sizes and fits. It makes people more comfortable with buying online. Also, there is this phenomenon where people go to a store, try out jeans and then buy it online." High street faced the heat when the mall culture began. Now again it is sandwiched between engagement-laden malls and discount-laden e-commerce sites. Vishal Mirchandani, CEO, Retail and Commercial, Brigade Enterprises (Orion Mall, Bangalore) and Rajendra Kalkar, Senior Centre Director (West), The Phoenix Mills (Phoenix Mall, Mumbai). The mere suggestion of a life-threatening disease can sometimes lead to a heart attack. Could the same thing happen in business? It would seem so, going by the frenzied speculation on the impact of e-commerce on traditional shopping. 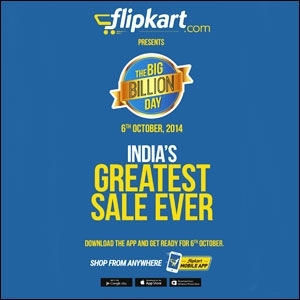 The truth is that, on an overall basis, e-commerce has made barely a dent in India. But the investments are enormous, its growth is spectacular as too is the promise of the future. It's the unevenness of online's impact that is confusing. While some categories such as airline tickets, books and music have been decimated offline, and some such as mobile phones are heading there, most products are untouched. Marketers worry about the power of the online aggregators, they worry about online discounting and they worry about how this affects their traditional offline partners. We thought that the more interesting thing would be to examine how the hundreds of malls across India are likely to be hit. You could ask, why malls? For one, the bulk of the investment in this format of retailing has been made in the past 10 years and funds continue to flow in rapidly. For another, malls tend to attract the young - the very consumers who are most likely to buy goods online. Third, malls sell non-essentials, which is what tends to get traction online. The question of what e-commerce might do to malls is largely unexplored. We were impressed that mall managements, while not fearful, are nevertheless anticipating the wave. At the heart of their defence lies the understanding that while value-seeking consumers will be drawn online, experience-seeking shoppers will gravitate towards malls. Since malls are aggregators themselves, they have the flexibility to change the mix of outlets to get around the e-commerce challenge. Just 10 years ago the business press was full of speculation on whether traditional markets could survive the mall challenge. And now we are wondering whether malls can survive an e-attack. Clearly, there is no safety anywhere. To download the PDF version of the article, click here. Are malls catching on with small town marketers?